From those first, brave settlers stepping off the Ark & Dove to the men and women in the control room of the Hubble Space Telescope who first peered so deep into the heavens, Maryland has always been a place where history is made. General George Washington gave up his command of the Continental Army in Annapolis, cementing our fledgling democracy. Francis Scott Key penned The Star-Spangled Banner, our national anthem, in Baltimore. Maryland was the starting point of The National Road and America’s first great railroad. Maryland was the home of great leaders like Frederick Douglas and Harriet Tubman who led the drive for equality. On Maryland soil, the crossroads of the Civil War, the North and South clashed in some of their most important battles. Come see where it happened; come to Maryland. Maryland: “The Free State,” one of the 13 original colonies, and home to nearly 400 years of American history has been at the heart of American experience since the nation’s founding. From our fight for independence, to the struggle for equality and justice for all, and on to the race for the skies and the stars, Maryland is the home of our history. Start with these 13 sites and adventures to experience the people and places that set the foundations for our American identity. From Antietam, a pivotal Union victory, to Monocacy, the loss that won the war, some of the most decisive battles of the Civil War were fought in Maryland. Maryland was positioned at the crossroads of conflict, and its citizens were just as ideologically divided as the soldiers on the battlefield. To honor this heritage, five unique trails span the state, each opening a window to unique places, moments and perspectives that set the course of the Civil War. 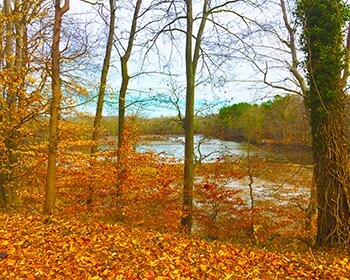 Whether you are a history buff or just looking for family adventures in beautiful places, Maryland's Civil War Trails have something for everyone. The story of the Underground Railroad in Maryland is one of intrigue and danger, but above all, it is a testament to the courage of the men and woman who risked all in the quest for equality and justice for all people. Travel the Harriet Tubman Underground Railroad Byway and explore this secret landscape where the perils of the wild were often safer than the possibility of discovery. Bike, hike, paddle, or take a self-guided driving tour of the byway to discover the beauty of Chesapeake country, the majesty of one-of-a-kind wild places like the Blackwater National Wildlife Refuge. Visit historical treasures like the Harriet Tubman Museum in Cambridge, Choptank Landing and Webb Cabin to better understand the dedication, bravery and leadership of Harriet Tubman, a singular American Hero, and others like her who risked all on the Underground Railroad. Two hundred years ago, the young United States faced the greatest threat of its existence when the most powerful military in the world terrorized our shores. During the War of 1812, the British Navy raged the length and breadth of the Chesapeake Bay and even burned the White House. But on the ramparts of Fort McHenry National Monument and Historic Shrine, and the soil of Baltimore, soldiers and ordinary citizens boldly defended our way of life, forging the legendary American backbone and inspiring Francis Scott Key to pen the “Star-Spangled Banner.” With dozens of landmarks, parks and sites like Fort McHenry and the Star-Spangled Banner Flag House where Mary Pickersgill sewed the flag that flew O’er the ramparts, the Star-Spangled Banner National Historic Trail chronicles these perilous years in American history. Set sail on a historic skipjack, the Maryland state boat and part of the only fleet of working sailboats in America, and explore the Chesapeake Bay. Get a taste of Maryland’s bay traditions while pulling crab pots or dredging for oysters on guided, sailing tours offered by Maryland’s working watermen. Visit iconic lighthouses that dot Maryland’s Chesapeake shores and experience Maryland’s proud maritime traditions by car or sail the 3,000-mile-long Captain John Smith Chesapeake National Historic Trail while staying connected to information and experiences through the trail’s system of “smart buoys.” Get a unique and fun view of this one-of-a-kind history at the Calvert Marine Museum, Annapolis Maritime Museum and Chesapeake Bay Maritime Museum, or step back in time on an island excursion to Smith Island to immerse yourself in the waterman culture and experience quiet and solitude. Take a road trip to remember along the Historic National Road. 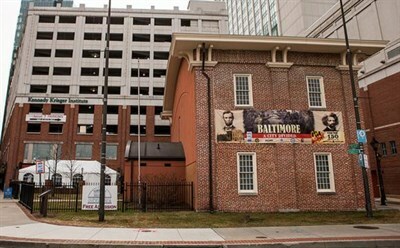 Envisioned by President George Washington, “The Road that Built the Nation” was the first federally funded highway and connected Baltimore markets to the Midwest by 1818. Today it remains an enchanting slice of Americana and 200 years of American road-side culture. 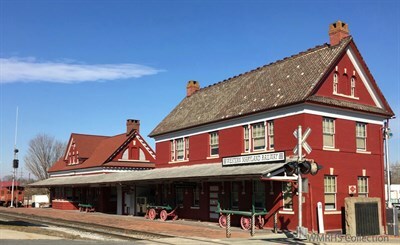 Experience epic stories of the road at the National Road Museum in Boonsboro and the Thrasher Carriage Museum in Frostburg; and stop at landmarks like Wilson’s Store, the LaVale Toll House, and the Casselman River Bridge, while riding a ribbon of highway that weaves our nation together. Along the way, explore quaint towns and imagine traversing the Appalachian Mountains in a Model T Ford on a Sunday drive and returning to tell tales of adventure. See what we as a nation have become in the years since construction began on The National Road. See Maryland’s waterways and landscapes through American Indian eyes. Immerse yourself in a woodland setting and explore a replica Piscataway Indian Village at Jefferson Patterson Park and Museum. 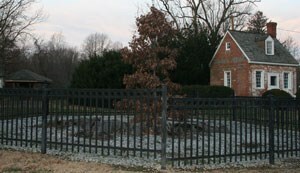 Then tour the Maryland Archaeological Lab to see Indian artifacts firsthand. Take part in a Pow Wow or cultural event and meet one of the many modern day Maryland Indians. Sample authentic food, see a ceremonial dance and purchase native crafts. Travel to the Baltimore American Indian Center and discover the stories of native peoples living in an urban area. On the Eastern Shore, stop at the Nause-Waiwash Band of the Nanticoke Indian Tribe’s Longhouse. 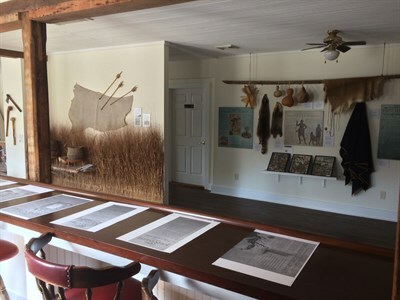 Learn about the historic Nanticoke’s interactions with the English at the Captain John Smith Nanticoke River Discovery Center in Vienna. Make the leap from the Monopoly board to the real life B&O Railroad, home of the first 13 miles of railroad track in America. Chartered in 1827, the Baltimore & Ohio Railroad began regular passenger service in 1830. Today, Baltimore’s B&O Railroad Museum, home to one of the most important collections of rolling stock in the world, is a must-stop for rail history buffs and your favorite Thomas-obsessed tyke alike. Other great stops include the Brunswick Railroad Museum with its 1,700 square foot HO Scale model railroad. And there’s no better way to see the rugged mountains of Western Maryland than a trip on the Western Maryland Scenic Railroad a historic train trip through the mountains of Cumberland. From the Great Falls of the Potomac and the outskirts of Washington D.C. to the rugged reaches of Western Maryland, the C&O Canal cuts a swath through unforgettable Maryland landscapes and nearly 200 years of history. Its flat expanses are perfect for novice hikers and family bike trips through spots like the Paw Paw Tunnel, while challenging side paths like the legendary Billy Goat Trail offer destination routes for the experienced hiker. Don’t miss a stop at the Cumberland Visitor Center to see interactive exhibits and step back into the heyday of the canal; and for a real adventure, take a mule-pulled barge ride along the Chesapeake & Ohio Canal at Potomac, try an electric launch boat tour at Williamsport, and for the complete canal experience, book a night’s stay in a historic lockhouse. Tour the grounds of the U.S. Naval Academy in Annapolis and see the ornate crypt of John Paul Jones, father of the American Navy. Honor the service of America’s fighting sailors at the Academy’s Main Chapel and visit the Plebe’s favorite, Tecumseh Court. Explore the U.S. Naval Academy Museum to discover the history of seapower, the development of the U.S. Navy, and the role of the U.S. Naval Academy in building the future leaders of America's Navy and Marine Corps. Or travel back in time to the antebellum era and tour the historic USS Constellation, an enduring part of Baltimore’s skyline. Once the flagship of the U.S. Navy’s Africa fleet during the fight against slavery, the Constellation was the last, all-sail warship built by the Navy. In November of 1755, four ships carrying more than 900 Acadian exiles arrived in Maryland. Forcibly removed by the British from their homelands in Nova Scotia, Canada, these exiled Acadians were left to fend for themselves and settled in Princess Anne, Snow Hill, Oxford, Newtown (today Chestertown), Georgetown, Fredericktown, Baltimore, Annapolis, Upper Marlboro, Lower Marlboro and Port Tobacco. Their names were listed on the 1763 Acadian lists. Experience the dramatic story of the Acadian exiles and plan your visit to the port towns and historic sites where Acadian families lived. The Maryland Jockey Club was founded in 1743, making it 33 years older than the United States itself. With history like that, it’s no wonder jousting is Maryland’s state sport. Visit one of the state’s five, active thoroughbred and harness racing tracks and catch legendary races like The Maryland Million at Laurel Park Racecourse and Pimlico's Preakness Stakes, second jewel of horse racing’s famed Triple Crown. Get out into the countryside to witness a thrilling fox hunt, polo match, or daring steeplechase race like The Fair Hill Races and Potomac Hunt Races. And of course, witness the only-in-Maryland majesty of wild horses on the seaside dunes of Assateague Island. After all that, we’re sure you’ll be inspired to saddle up yourself, and the Maryland Horse Industry Board’s Horse Discovery Centers offer a great way to get started. British colonist Robert Brooke brought the first foxhounds to North America in 1650, when he settled in St. Mary’s and Calvert counties, and established the tradition of foxhunting in the New World. Steeplechase races emerged out of competitions between foxhunting clubs and have become a fervent spectator sport. The first steeplechase race in Maryland was held in 1873 over a course built in the infield at Pimlico Race Course. The Fair Hill Races and Potomac Hunt Races are two of the most popular public steeplechase races today. Tailgating is a favorite way to observe steeplechase races or polo matches. The Congressional Polo Club in Poolesville has weekend matches that are open to the public, and matches at the Maryland Polo Club can be seen near Ladew Topiary Gardens. Jousting tournaments are actually ring-jousting competitions. Riders must pass through a series of arches and spear three dangling rings in three different rides. A perfect score is the capture of nine rings. Ring diameters start at 1.75 inches for novices, ranging to 1.0 inches for experts – the size of candy lifesavers. Check the Maryland Jousting Tournament Association schedule for upcoming tournaments. If you prefer to experience the sights, sounds and scents of horses personally, check out one of the Maryland Horse Industry Board’s Horse Discovery Centers. These centers are carefully selected, licensed stables that welcome people of all ages and experience levels into their barns to learn about horses in a friendly and knowledgeable environment. They range from trail riding centers to Western riding operations to horse rescues and stables offering summer camps, English equitation, even Civil War re-enactments. Founded in 1634, the Maryland Colony was home to the roots of American religious liberty and twice served as the capital of the country. Step back in time and visit St. Clement’s Island in the Potomac River, where Maryland’s first Colonists landed on March 25, 1634 in their search for religious freedom. Tour Historic St. Mary’s City, now a living history site, this home to the original Maryland colony invites you to spend a day walking in the shoes (or more likely, bare feet) of a Colonist, and even climb aboard the Dove, a reconstruction of one of the tiny sailing ships that those early Marylanders used to cross the stormy Atlantic. And visit bricked streets of bayfront Annapolis. The historic State House served as the seat of the Continental Congress during the signing of the Treaty of Paris which ended the Revolutionary War, and in its halls, General George Washington resigned as Commander in Chief of the Continental Army, cementing the foundations of American civilian rule. Witness the history of flight at the College Park Aviation Museum, the Hagerstown Aviation Museum, the Glenn L. Martin Maryland Aviation Museum in Middle River, and the Patuxent River Naval Air Museum where you can take to the virtual skies with a ride in an authentic F-14 flight simulator. 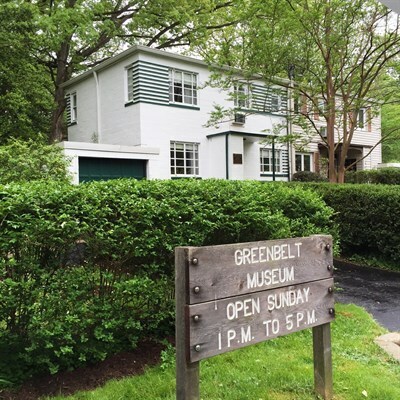 Or get a sneak peak at tomorrow’s history at Greenbelt’s NASA/Goddard Space Flight Center Museum with its state-of-the-art displays and a rocket garden; and at the Maryland Science Center in Baltimore where you can look through the eye of the Clark Telescope. See the medical story of the American Civil War come to life through exhibits at this museum. 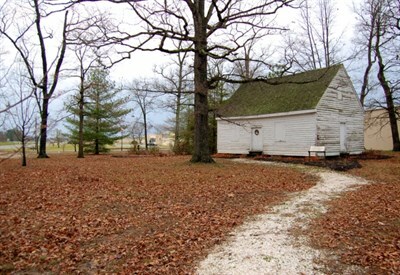 Known as George Washington's Headquarters, this one-room cabin was used by George Washington while an aide to General Braddock. 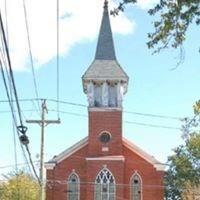 Be inspired at this important War of 1812 site and birthplace of The National Anthem. Pay tribute to those who were sacrificed at this tremendous Civil War battle. Step onboard the Maryland Dove in Historic St. Mary's City. Search our comprehensive list of History & Heritage Attractions in Maryland.